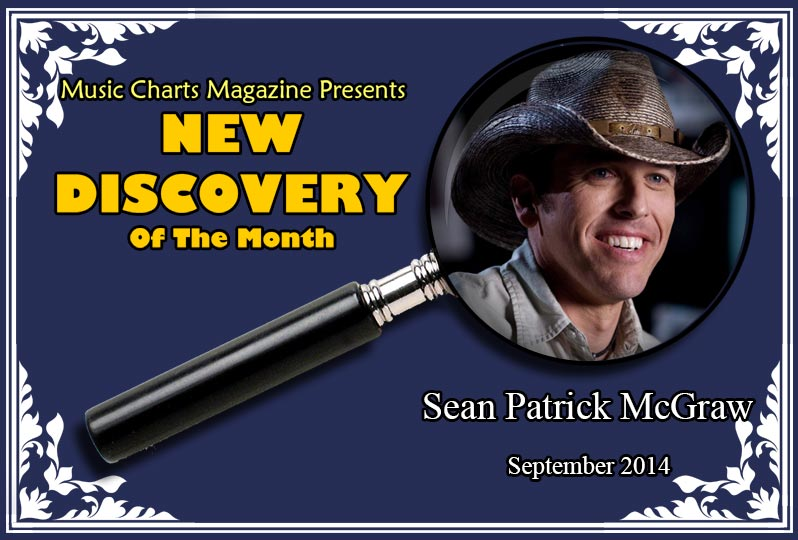 Music Charts Magazine® Presents – “NEW DISCOVERY” – “Sean Patrick McGraw“- for the month of September 2014. Check out this Music Charts Magazine® “NEW DISCOVERY” Interview with “Sean Patrick McGraw” and be prepared to be excited knowing there is still 100% awesome music out there that you still have not heard. After you listen to this great radio interview pasted below of “Sean Patrick McGraw” we are sure you will be glad you found this “New Discovery” and Sean’s song “I’m That Guy” to add to your music playlist. Amid the two-day mainstream country, bluegrass, folk, roots rock and alt-country bonanza that was the third annual Stagecoach Festival in Indio, California, the unlikely last-minute addition of Sean Patrick McGraw (“Not related to Tim, so I didn’t pull any strings to be here”) to The Mane Stage line-up proved a surprise high point of the weekend. “Letting his freak flag fly” with the psychobilly swagger of a true country rocker, McGraw caught the attention of the record-setting crowd, industry insiders, and media heavyweights alike. 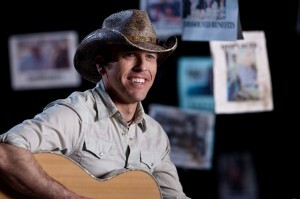 Indeed, McGraw handles the subject of recession with the earnest understanding of a man who’s been on the front lines. “Last summer just clobbered me,” McGraw explains. “Between the poor exchange rate with Canada, where we did a bunch of shows, and gas being almost $5 a gallon, by the time I got off a West Coast run I was losing money on the road.” The resulting stress and frustration inspired “Dollar Ain’t Worth A Dime,” equal parts simmering rage and quiet resignation, as much an invitation to commiserate as a celebration of the American worker’s unfailing fortitude. While McGraw’s performance proved to be an unexpected hit at Stagecaoch this year, an overnight success he is not. This road warrior and his “band of brothers” have spent the last few years playing upwards of 150 dates a year, last year alone racking up 80,000 miles on his new SUV (not bus, as McGraw is quick to point out). 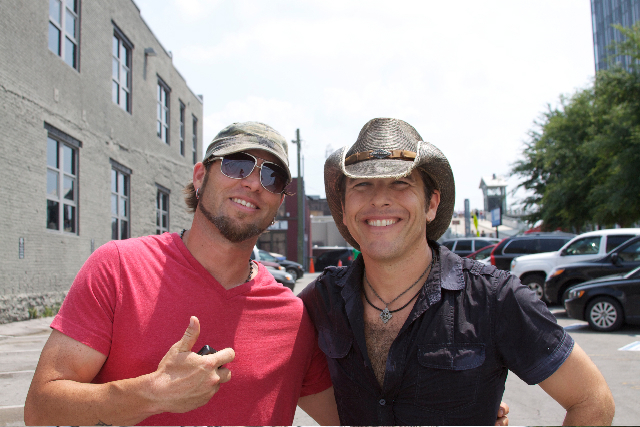 Though he’s well seasoned as an opening act, sharing the stage with Jason Aldean, Luke Bryan, Patty Loveless, Pat Green, and Miranda Lambert, he’s not above gratis gigs in grungy clubs along the way, playing for nothing more than the hope of selling five CDs or winning a handful of new fans. “For all the good days I ever had working in a factory,” McGraw says, “I’d rather have a lousy day in the middle of nowhere singing ‘Sweet Home Alabama’ anytime. Not out of laziness—” he adds, “I’m all about hard work. I just want that hard work done with a guitar in my hand as opposed to a hammer or a shovel.” Hard work it is, and not just up on stage. Whether behind the wheel or on the phone booking gigs, McGraw creates his own success with the tenacity to never give up. Call it Irish grit. “If you grew up where I grew up,” McGraw recalls, “you were automatically hyphenated either Irish, Polish, or Italian, and your dad worked in the mill, that was a given.” Hailing from a small steel industry town about 50 miles outside of Buffalo, New York, McGraw was raised on Hee-Haw (“We loved Conway Twitty, or at least his haircut”) and rough games of hockey and football. Small for his age and showing little athletic promise, he gravitated towards music, and good thing: “If I’d have stuck with the sports I liked any longer I might have ended up getting my head taken off. We never wore pads, let alone helmets.” Instead, McGraw grew out his hair, picked up a cheap Japanese guitar, and at 13 started a rock band with friends, playing in bars a couple of nights a week—with a note from his mother in hand, in case the cops asked any questions. It soon became evident that Nashville was where McGraw belonged, so after a two-week trip and a couple nights at The Bluebird Café, McGraw made the move to Music City and hit the ground running. He soon signed a publishing deal with Liz Rose, and went on to write for Curb Magnatone. 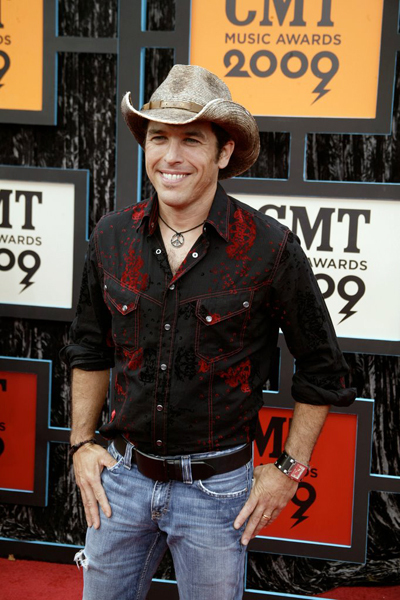 Despite some disappointments, including a blink-and-you’ll-miss-it stint on Nashville Star and as a member of the Brett Beavers band The Unforgiven (“We had some buzz for about a minute”), McGraw always found a way to pay the bills with music, impersonating Glenn Frye in an Eagles tribute band, taking sideman gigs with Dean Miller and Steve Holy, doing session work and continuing to write songs. This “whatever it takes” mentality stands front and center in “Dollar Ain’t Worth A Dime,” and it’s what eventually got him his chance at Stagecoach, where McGraw began to gain traction on the national stage. His performance there earned him a spot on the summer 2009 Toby Keith tour, and his debut album has been picked up for release later this year by Little Engine Records and their partner, CMT. Previously recorded with producer Nathan Chapman (Taylor Swift’s go-to guy), and remixed and remastered by Spencer Proffer, the album reflects the hurdles and highs of a musician’s existence with gritty realism and good fun.